Anaheim, Calif. – March 27, 2013 – GBC Motorsports earned more class wins in the desert this past weekend with WORCS Round 3 in Lake Havasu City and the Best in the Desert MINT 400 in Las Vegas. 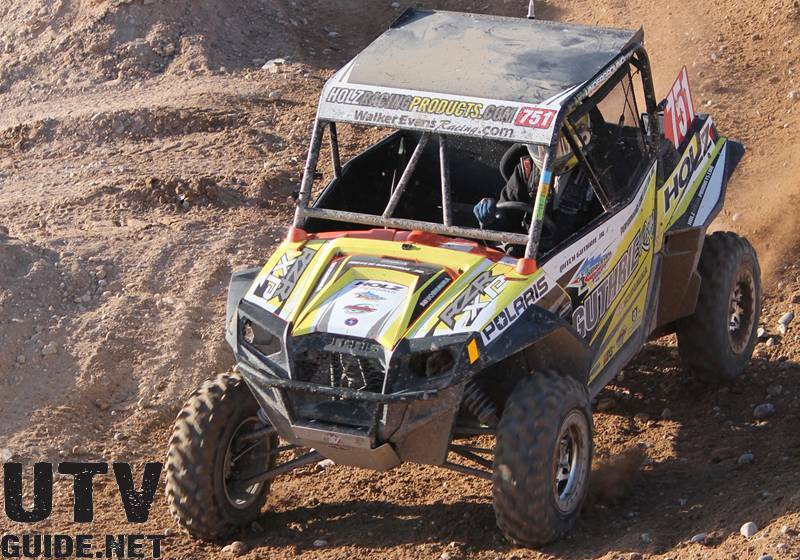 GBC racers continued their early-season success in SXS classes as James Hill piloted his Kanati Mongrel tires to a 2nd place SXS Pro class in his Can-Am Maverick. GBC managed two more top-10 finishes with Tommy Scranton in 7th and Tim Wyatt in 9th. RJ Anderson made up a lot of ground by pulling off the lagoon jump on several laps, but a mechanical failure dropped him to a 12th place finish. The GBC win streak in the SXS 1000 extended to three straight WORCS races at Crazy Horse when Mitch Guthrie Jr. once again landed his Polaris RZR XP on the top of the podium, also earning a 4th place Overall SXS finish. Guthrie opted for the GBC Dirt Commanders in this round to help navigate the sandy terrain. Jake Greco finished 2nd in the class and pulled a 7th place Overall. Kayla Smith made her return to WORCS Racing in her Yamaha Rhino with her first appearance since finishing 3rd in the SXS 700 class last year. Smith finished 2nd in the SXS 700 class on her GBC Dirt Commanders and will surely look to challenge for the class title this season. GBC’s ATV races were highlighted by a hole shot and 2nd place podium finish in the Prod A class by Cody Mitchell who also holds the 2nd place position in the standings after three rounds. Mitchell was running his XC-Racer and XC-Master equipped bike in 2nd place in the Pro-Am race but experienced mechanical difficulties late in the race, eventually finishing 16th. Fellow GBC rider Brian Sirevaag finished 6th in the Prod A race and also put in a strong 5th place ride after battling back from a slow start in the Pro-Am class. 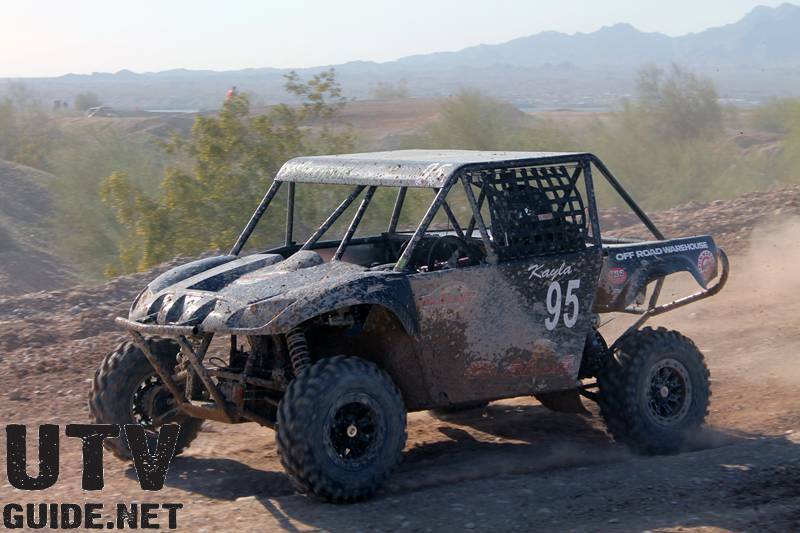 GBC Motorsports’ Lacrecia Beurrier successfully defended her UTV Sportsman class title with another MINT 400 victory this past weekend. Beurrier piloted her GBC Dirt Commanders to a class win with teammates Eric Beurrier, Preston Alexus and Holly Thomas. 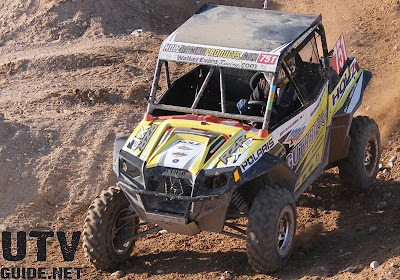 The Polaris RZR 800 battled through a field of 1000s and 900s as well as the Jeep Speed class to finish 6th overall out of all UTVs. 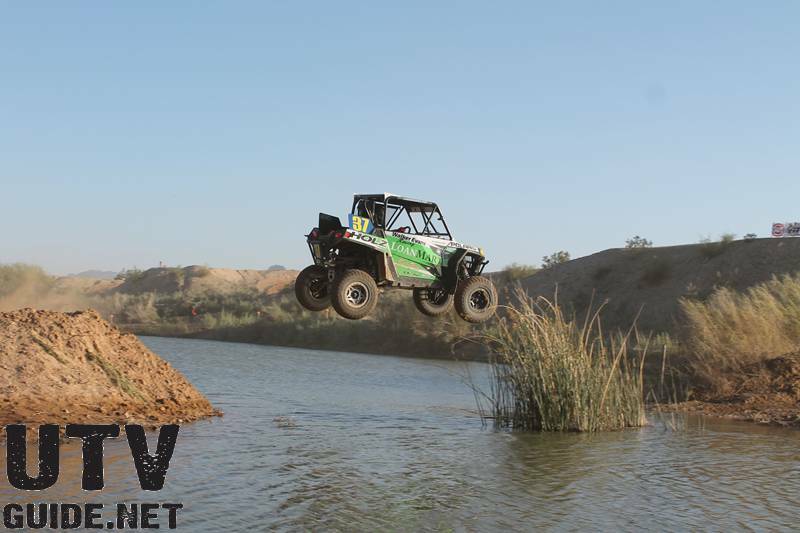 Beurrier maneuvered her way through deep silt beds and rocky terrain with few issues in more than five hours of racing. “I love my GBC tires and wouldn’t use anything else!” Beurrier said of her Dirt Commanders. The impressive performance give Beurrier two Sportsman victories in the BITD season with the next event for points comes May 3-5 in the Silver State 300. For more information on GBC Motorsports tires visit www.gbcmotorsports.com. Follow us on Facebook and Twitter for the latest racing and product updates. 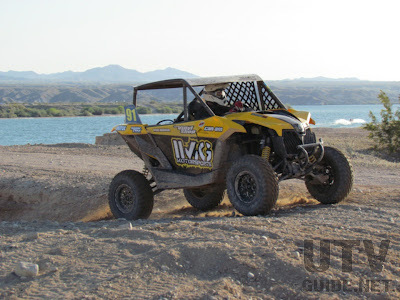 About GBC Motorsports: GBC Motorsports has been building ATV tires for over 30 years. Manufactured under the Greenball name initially, in 1995, GBC Motorsports was formed to focus on bringing to the ATV and Powersports market performance tires for every riding style. GBC Motorsport’s passion is to provide the highest quality, best value, and most innovative performance tires to the Powersports enthusiast.